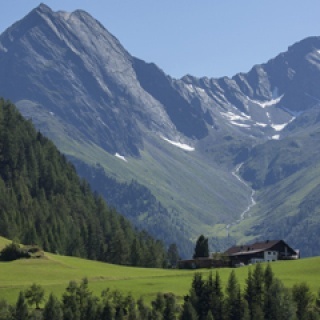 I would like to be informed about Ötztal Tourismus news/events and deals by e-mail also in the future. You can unsubscribe at any time free of charge. 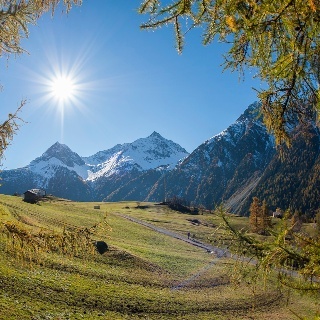 The hiking paradise of Sölden also has a marvelous winter season: 49.5 km of cleared, signposted winter hiking trails take walkers straight through snow-covered forests, white meadows and along Ötztaler Ache mountain brook. Adventure-seeking vacationers grab their snowshoes and listen to the crunching snow under their feet while lively Sölden disappears in the background. Trudging through the untouched white either on your own or accompanied by a local guide you will take new insights on the way to rustic mountain huts. 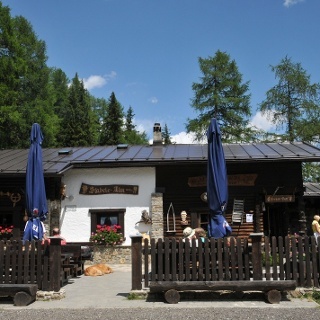 The hike starts at the sports center in Unterlängenfeld. 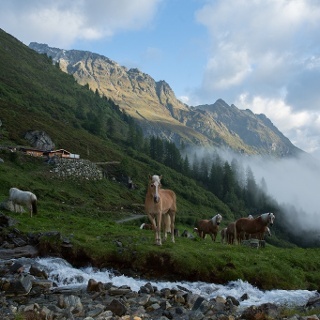 Walk towards the campsite, cross the Ötztaler Ache river and hike on to the Pestkapelle. Follow the hiking trail in direction Oberrieder Stabele and soon branch off in direction Teufelskanzel on the Duringweg. The viewpoint "Teufelskanzel" is only a short detour. On the way, original signposts, brilliant water games over rocks and beautiful views surprise you in Längenfeld. First gently then a bit steeper you descend to the district Astlehn from there you return to the starting point. On this way you meet two power places. Plague Chapel and Teufelskanzel - the perfect track to recharge your batteries. box, a mobile phone, a walking map and if there is no hut on the way a snack and enough to drink. Starting from the sports center in Längenfeld, follow the road to the campsite. From there you hike along the forest path over the bridge of the Ötztaler Ache to the Pestkapelle. At the Pestkapelle you follow the wide forest road to the turnoff to Duringweg/Teufelskanzel. From here, the forest trail turns into a steep track. Now you stay on the trail along the Duringweg until the path slowly descends again towards Astlehn. From Astlehn take the path along the Ötztaler Ache back to the starting point. These suggestions were created automatically. Teaser: How often a preview was shown anywhere on our website, e. g. search results. Clicks: How often a specific tour/POI/ski resport etc. was clicked. The Outdooractive rank gives an overview of how completely the content is described. Maximum 100 credits. Start of records was August 2014. What's important for a well described tour? Tours with an expressive title can be found much easier – whether through Google or within Outdooractive. An informative, extensive description helps to evaluate the tour. The summary depicts the main features of the tour in up to three sentences, the description shows its character, whereas the turn-by-turn directions describe the itinerary in particular. A variety of pictures help to evaluate the tour and make decisions easier. Dont forget descriptions! A track should contain the outward and the return path. Only then, correct data for length, duration and elevation profile of the tour can be guaranteed. For our professional partners with DMS-Login: every important POI should be created with photo and linked to the respective tour. 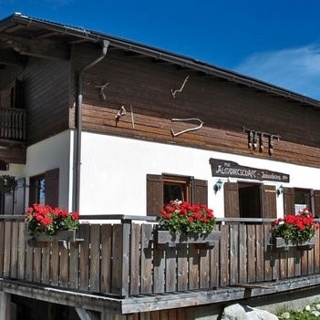 The exposition provides information about the main orientation of the slopes and mountain faces of the tour with regard to the direction of the sun. Calculate the number of calories you will burn on this tour. For changing the range of view, push the arrows together. Please check your email inbox and confirm your registration. 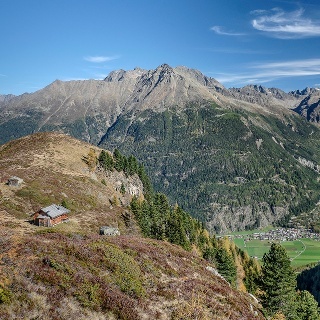 Stay tuned with our Sölden newsletter! Enter a valid email address! The current weather daily via WhatsApp.